March 28, 2016 | LITTLE ROCK — Gwendolyn Bryant-Smith, M.D., a fellowship-trained radiologist, has been named director of breast imaging at the University of Arkansas for Medical Sciences (UAMS). She sees patients in the UAMS Breast Center on the first floor of the Outpatient Center. 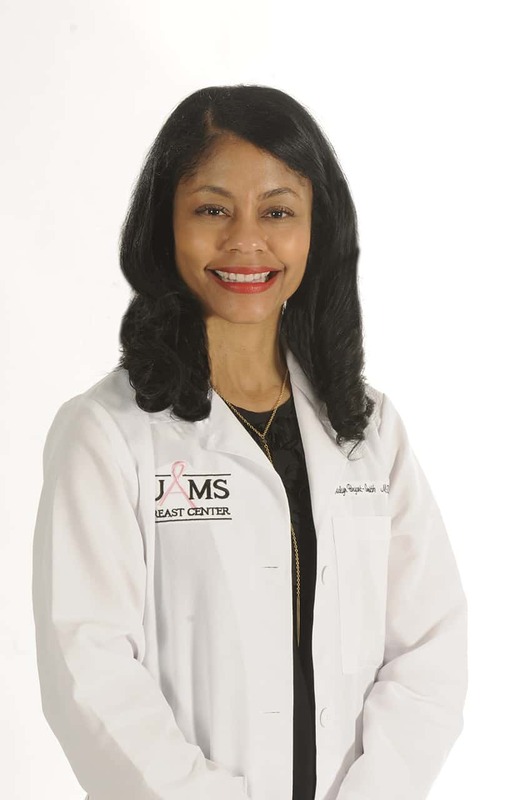 Bryant-Smith has been an assistant professor in the UAMS Department of Radiology since 2006 and served as director of breast imaging in the Central Arkansas Veterans Healthcare System (CAVHS) Department of Radiology/Imaging and Therapeutic Service since 2008. A graduate of the UAMS College of Medicine, Bryant-Smith completed her internship at UAMS, followed by a residency in diagnostic radiology and fellowship training in the UAMS Breast Imaging Fellowship program. She has served as chair of the National Veterans Affairs Mammography Advisory Committee, clinical image reviewer for the Arkansas Mammography Accreditation Program, and member of the CAVHS Women Veterans Advisory Committee, among other appointments. She is a member of the Radiological Society of North America and the Society of Breast Imaging.